A life-changing book that will help reshape your mindset and your life. Join us at Slimming Together - we'd love to welcome you. 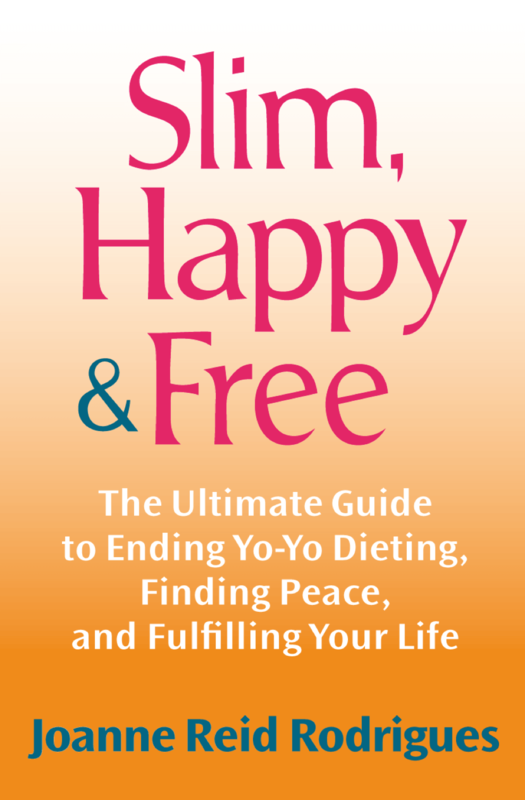 Founder of Slimming Together and Authentic Conﬁdence and author of Slim, Happy & Free. Joanne is devoted to raising awareness of every human being’s value. Joanne encourages people to honour their physical body, while endorsing their worth as a path to healing and transformation. Joanne’s philosophy is respectful living – respect for self, for others, and for the natural world. The Joanne Reid Rodrigues brand logo is symbolised by the 6-pointed star as it represents our highest potential. The lines in the star represent the many people from all walks of life who join Joanne on the Life Transformation Path. The star and pathways are within the circle of life. YOU are the star. The starting point is loving who you are. "I broke the habits of a lifetime and I transformed my mindset, and my way of life. If you'd like to lose excess weight and improve your vitality, I can show you how. I’d love to be your guide on the life transformation path…"